To be the best SEO company a marketing firm must have a good grasp of online analytics technology and methodologies while also understanding business marketing fundamentals. SEO for small business requires a marketing company to be very flexible while also providing guidance and consulting where needed. Target personas - building the right profile for a target audience is foundational for any search engine optimization (SEO) process. The small business and the marketing firm must work together to develop the ideal customer profile including geographic locations, web sites frequently visited, typical search habits and basic demographics. Keyword development - identifying the best search terms and phrases that the target audience uses involves online analytics tools combined with business information. The marketing firm can evaluate existing customers and how they found the client company as well as look at competitors and their key search terms. The business knowledge combined with analytics will provide a good first set of keywords to use for online content. Implementation - to make SEO work properly the keywords should be utilized throughout the business web site as well as in email, social media posts, blogs, Ebooks, articles and other online information. 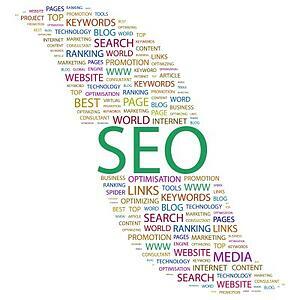 Tagging, links and other tools can also be used as part of the SEO implementation. Pay per click (PPC) can also be leveraged for faster results - but at an additional expense depending on the business need. Tuning - once SEO is implemented ongoing review is required to look at the results, determine if the business is getting an increase in traffic, inquiries, qualified leads and sales conversions. Tuning greatly improves the overall effectiveness of SEO. Small businesses can leverage the best SEO companies without breaking their budget. For more information please call us directly or click the button below and we will contact you. Thank you.